I plan on expanding the forum to include a few new sections dedicated to internet marketing, specifically website creation and traffic. 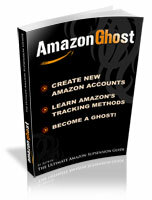 It would be for those who want to build an online business outside of eBay and Amazon. Right now we have Webmaster Jungle but it's doing a poor job of handling this. I want to rename that forum and add a couple sub-forums, 'Website Creation' and 'Traffic Talk'. Now, the reason for this thread. I'd like suggestions for the rename of 'Webmaster Jungle'. Right now I have, 'Internet Marketing Discussions' but I feel that name is not descriptive enough or worse, scary for those unfamiliar with internet marketing. What do you think a good to the point name might be for the 'Webmaster Jungle' forum?